The Beta Omicron chapter of Theta Chi was first established at the University of Cincinnati in June of 1942. The chapter flourished for the next few decades, but sadly had to disband in 2005. In 2011, Kyle Parido, an active brother from Eastern Kentucky University, transferred to the University of Cincinnati. He was soon pursuaded to restart the Beta Omicron chapter at UC. The organization grew quickly, and in June 2012 Theta Chi was established as a colony at the University of Cincinnati. Throughout the 2012-2013 year, the members of Theta Chi worked dilligently to grow the organization. By the end of the school year, Beta Omicron had grown to 46 members. The colony officially applied to become a chartered fraternity on the University of Cincinnati’s campus. On May 11, 2013, 38 men went through a two-part ceremony that consisted of the reinstallation of the chapter and the initiation of each new brother. Since then, the chapter has continued to grow, reaching 70 members in the 2014-2015 academic year. 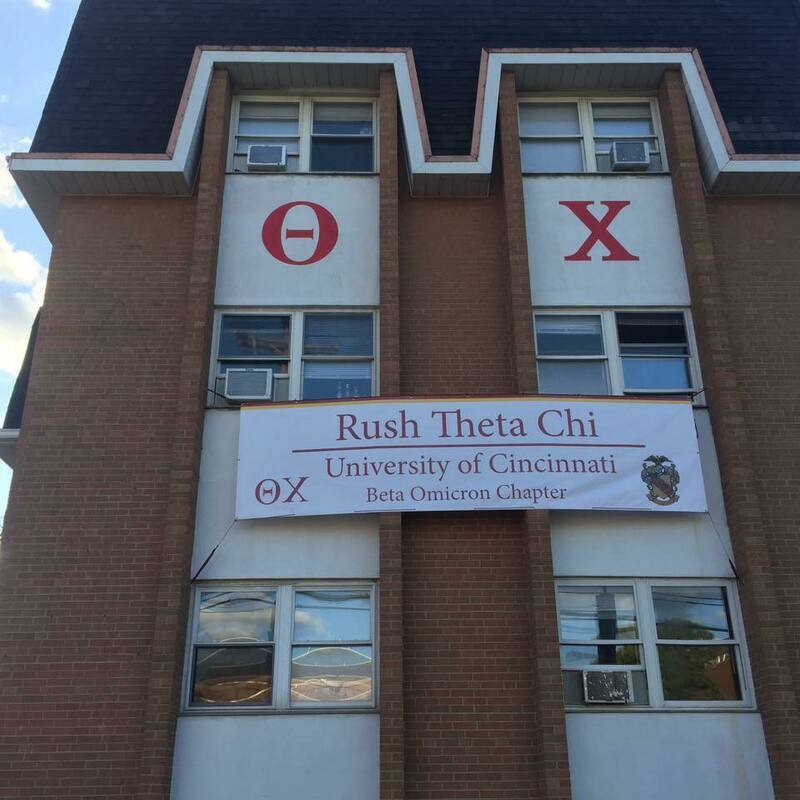 For the first time since returning to the University of Cincinnati, Theta Chi will have a chapter house near the rest of the Greek community starting in the Fall of 2015. The fraternity has developed a reputation as a hard-working, scholarly group of men, and its members have come to embody the spirit of Theta Chi’s motto, “An Assisting Hand”.